Accountants based in Lytham St Annes, Lancashire. developed expertise in a multitude of different areas. 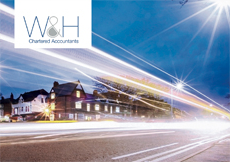 At Whitehead & Howarth Chartered Accountants, we provide a range of services to both business and individuals. Please click on the links below for more information about our accountancy services. Supporting your business with a complete accounts department at a fraction of the cost. © 2014 Whitehead & Howarth. All rights reserved.